Michigan is very hard on our pianos due to the ever-changing weather conditions in the state. Indoor humidity levels can be as high as 70% in the summer months, and plunge to as low as 10% in the winter months. 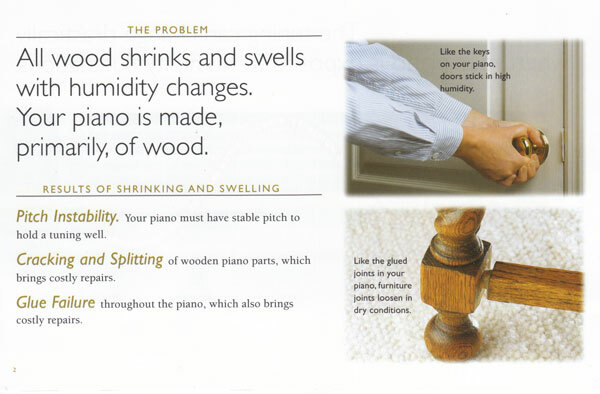 This dramatic fluctuation of moisture in your home can have severe effects on your piano. The wooden structure and small wooden components of your piano’s action expand and contract. Piano keys can twist and warp, and the piano pin block can loose its ability to hold the strings at pitch. At this time, I’m going to address the effects on the pin block. 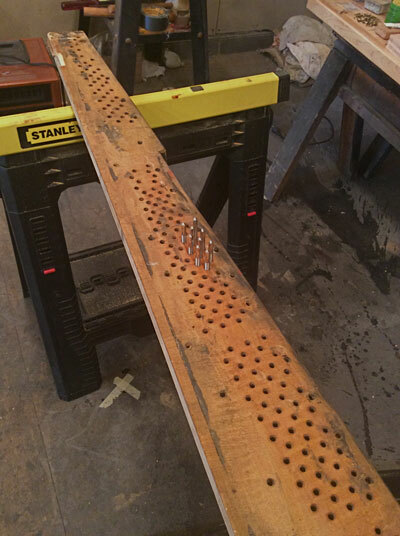 As seen in the video below the pin block is a plank of rock maple wood that has many small holes, which have tuning pins driven into them. These tuning pins must be tight enough to prevent the pin from twisting in the pin block, allowing the tension on the string to drop off. If the pin block no longer holds strings at pitch, the pin block must be removed, a new pin block is installed, and the piano is restrung. 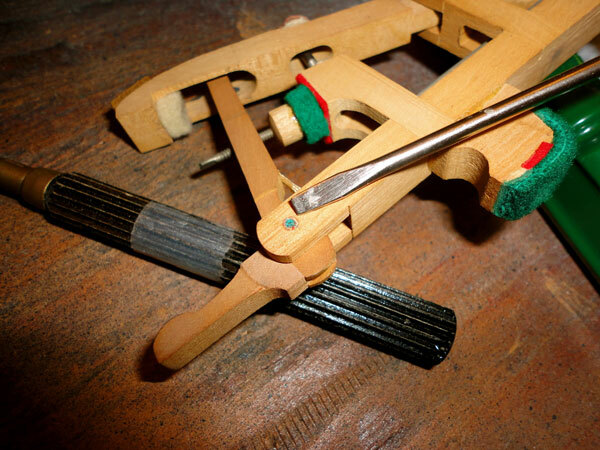 The constant action of a pin block expanding and contracting, compresses the wood fibers around the tuning pin. Over time, this compression of the wood against the pin enlarges the hole in the pin block. When this has occurred poor tuning stability will result. If not caught early, and proper humidity levels have not been maintained during the winter months, [see video…humidity control] the piano owner will have a decision to make…replace the piano, or have the piano restrung and replace the pin block. Proper humidification during the cold winter months is an easy cost effective way to avoid unnecessary repairs and prolong the life of your piano. To avoid over or under humidification of your home, purchase a digital hygrometer that measures your humidity levels. Forty two percent is the target humidity level. Watch for excessive condensation on windows, and make downward adjustments on your humidifier as needed,[see humidifier owners manual]. I have a shop in the Oakland County area of Southeast Michigan. Piano restringing and pin block replacement is a service I provide my clients. If I can be of help, or if you have questions concerning tuning instability, I’d love to help. You can reach me at 248-624-0940 or 248-647-6810. Please check past blog posts for more information on humidity control, the Dampp-Chaser system, and dryness related problems. Your piano is worth protecting. Does Humidity Change the Pitch of my Piano? This chart demonstrates how drastically pitch can change when your piano is exposed to fluctuations in the humidity during seasonal weather changes. Time sure does fly when we’re having fun! Once again, the holidays are upon us. It won’t be long and family and friends will be gathering for all the holiday fun. Many families celebrate around a piano. The piano gets dusted, the keys are cleaned in preparation for all the favorite tunes that will be played…but we forgot the note that stuck last year in the middle of that tune uncle Fred tried to play, or how that song little Suzie tried to play sounded more like a cat fight outside the window because the piano had not been tuned for ten years. The point is; pianos are used for our enjoyment at this time of year. This is a great time to have your piano tuned and checked so all will go well as the family enjoys all the traditions of the holidays. This is also the perfect time to get the humidifier ready and operating. A digital hygrometer at hand to help monitor the humidity level of your home will pay huge dividends by reducing repair and adjustment costs caused by the reaction of your piano’s wooden parts to sudden dry conditions that are just around the corner. The target humidity level to maintain is 42%. You may have to make minor adjustments to that reading depending on your home and the individual nature of the way each home is built, insulated, and the type of windows you have in your home. Craig Cole services pianos throughout the Oakland County, Michigan area. Give him a call today to schedule your piano service appointment. Main office phone number is 248-647-6810. Sticking keys or a note that plays one time but then will not allow repetition of the note are sources of frustration for all levels of players. I have heard countless frustrated mothers explain the reason her child stopped taking lessons, only to tell me her next child just began taking piano lessons and she wants the piano tuned. As I begin the tuning process it soon becomes apparent why the first child quit, and will be the reason the second child will quit. On the other end of the spectrum the high level player will walk away from the piano, and won’t touch it again till the problem is corrected. This approach is highly effective and can be performed on two or three notes that are a problem or the entire action can be repined. In the case of humidity related malfunction, humidity control is the most effective and lowest cost approach. Things like humidifiers on the furnace, digital hygrometers, air conditioning in the summer months, and in some cases the piano life saver, also known as the Dampp-Chaser system are the first line of defense in preventing and reversing the effects of high or low humidity on your piano. Why won’t my piano stay in tune in Michigan? Have you ever said, “My piano tuner was here two weeks ago…my piano was tuned, but it sounds terrible! ?” First, I would like to tell you, that you are not alone. Many other piano owners have experienced the unstable piano tuning syndrome. Let’s eliminate the obvious. The piano tuner should be able to tune your piano using the proper technique to set each tuning pin, as well as equalize the tension of the strings so they do not go out of tune the first time the piano is played. An experienced, and highly skilled tuner is worth their weight in gold. Now lets consider the most common cause of the unstable piano tuning syndrome. I service pianos in Oakland County Michigan, which has dramatic weather changes, accompanied with humidity level changes that are quite extreme. It is common to have humidity levels as high as eighty percent on a hot humid day in August, followed with humidity as low as ten percent in January. This change in humidity level will cause the soundboard of your piano to expand and contract, causing the strings of the piano to move and settle. This can happen seasonally, or as often as the weather changes, even as quickly as a few days. A simple, and cost effective way to bring your piano tuning under control is the Dampp-Chaser system. The system is installed inside an upright piano, or it is installed on the underside of a grand piano. Humidity levels at the piano are kept at a constant level for year around protection. Please take a moment to read what piano manufacturers have to say about the Dampp-Chaser system. “Baldwin recommends the Dampp-Chaser system as a valuable means to help insure the longevity and stability of our pianos. Do you tune pianos in…?